Winter is coming, people. ‘Tis the season to snuggle up at home, or post up at a bar. 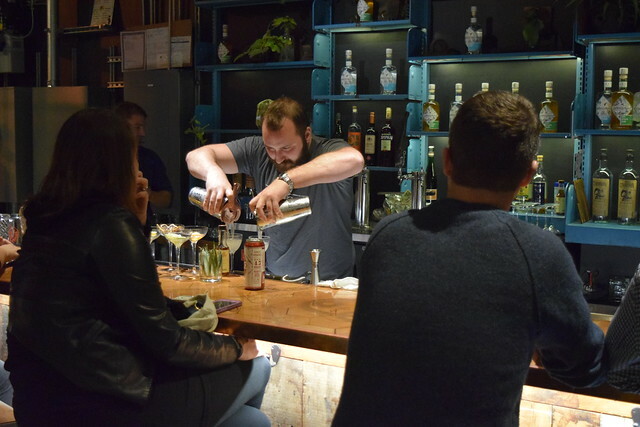 Hence, Thirsty Thursday, our new weekly installment of the best, sometimes under the radar, spots to get your drink on. We’ve volunteered to drink our way through Washington to scope out the best distilleries, breweries, and wine bars to spend your cold, dark, winter nights with friends, significant others, or yourself–we don’t judge. 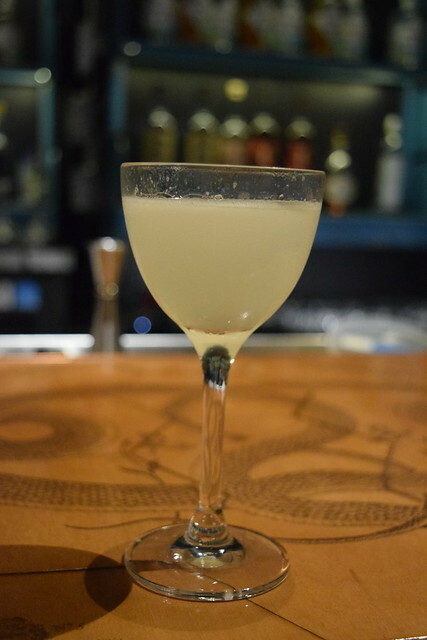 There’s no question that D.C. has an affinity for imbibing, so in this series we will feature our local pick of the week, who to bring, and what to order. First up, Cotton & Reed. What do you get when two NASA strategists quit their desk jobs and decide to invest in their favorite spirit? 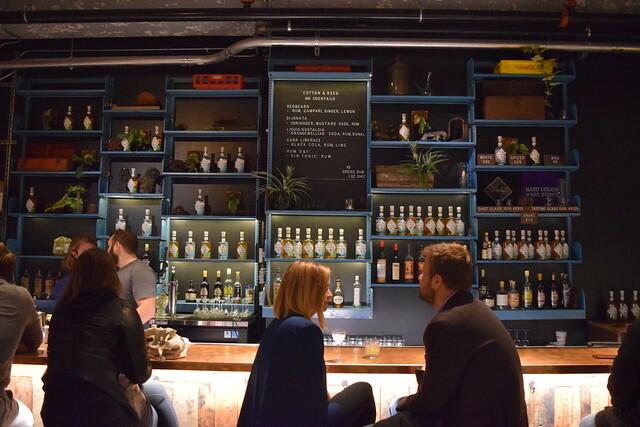 A rum distillery in Washington, DC. Reed Walker and Jordan Cotton are the unlikely co-founders of Cotton & Reed, and are producing the smoothest spirit to hit your lips inside the Beltway. At a work happy hour, they both shared their passion for rum and found themselves hard pressed to find a quality brand made on U.S. soil, so they decided to create one. After some expected (and some unexpected) growing pains of starting a business in the city, they’ve established roots in the ever-growing, dare I say hipster, neighborhood of Union Market in Northeast Washington. It was a Wednesday night and the half tasting room, half distillery was buzzing. It’s not like we were in a popular neighborhood, so I couldn’t help but wonder, “where did all these people come from?” It was like we were all in on one of the city’s best kept secrets. 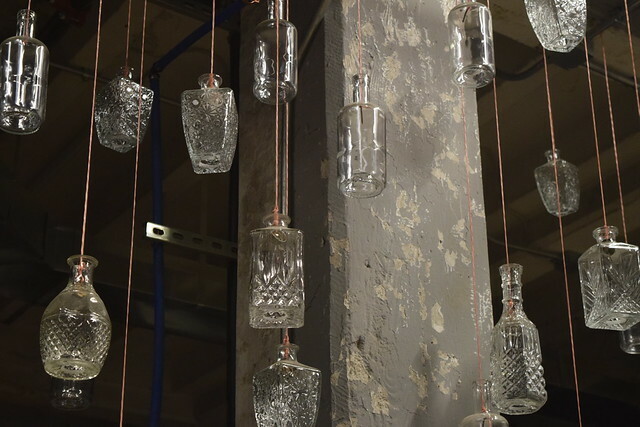 The space feels like a speakeasy, probably because of its precarious location tucked among seafood delivery trucks and other wholesale warehouses in Union Market, but when you enter you’re transported to a vintage, upscale, industrial garage with a gorgeous wood etched bar, hanging crystal bottles, and copper accents. The front area is the public bar, while the back space houses the stills. There was a private event going on in the distillery the night we visited, but we learned you can take a tour and do a tasting on the weekend. I went on a date night, admittedly with my husband, but this was an eclectic crowd. There was a group of young professionals, all of them wearing at least one article of plaid, posted up at the communal vintage table. We definitely spotted some first dates, but there were a handful of baby boomers too. Net-net, this is a unique space great for a date or to hang out on a Friday or Saturday night after grabbing brunch or shopping at Union Market. We also noted this would be a great spot to grab a night cap after dinner at Masseria. These guys keep it simple. And with simplicity comes perfection. Cotton & Reed only produces two spirits–a white rum and a dry spiced rum–and it is some of the smoothest rum we’ve ever tasted. The cocktail menu changes seasonally, but also falls in line with their no-frills approach. They put a modern and artisanal spin on old school cocktails, such as the Cuba Liberace, a rum and coke made with house made black cola. 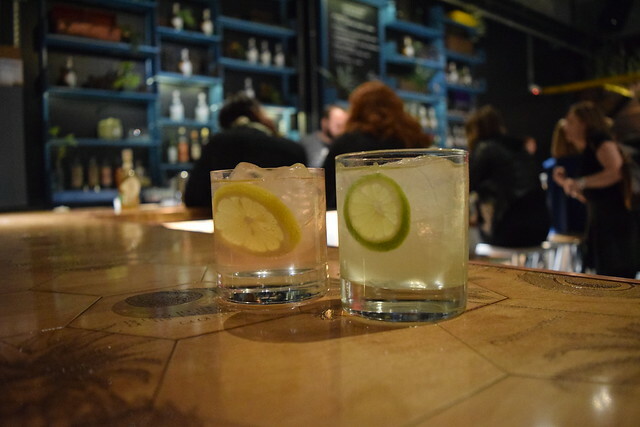 Or take the Rum G&T, which is made with their white rum and house-made tonic water that is infused with notes of gin. Distiller Chas Jefferson was behind the bar when we visited and insisted that he whip up his favorite drink, the Daiquiri. Thank you Chas, for opening our palates to what a true, fresh daiquiri can taste like, again made simply with rum, fresh squeezed lime juice–which makes all the difference– and a splash of simple syrup. All that was missing was the sun and the sand. You can’t leave without trying the Redbeard, a nod to Lukas, the bearded Barman, made with white rum, Campari, ginger, and lemon or the Liquid Nostalgia, comprised orangewellian soda, rum, and bonal. As someone who doesn’t love Campari, nor orange flavored drinks, they were both refreshing, smooth and citrus flavored, but not overwhelmingly sweet. The dry spiced rum is meant to be consumed clean–read: via a shot. 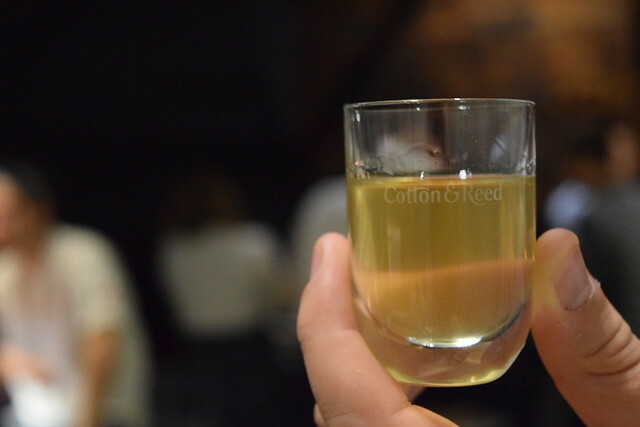 So to cap off our night, we took a swig, from the charming Cotton & Reed branded shot glasses, of the smooth, spicy, spirit. We can’t wait to see what they mix up for the winter cocktail menu with this batch of dry spiced rum. 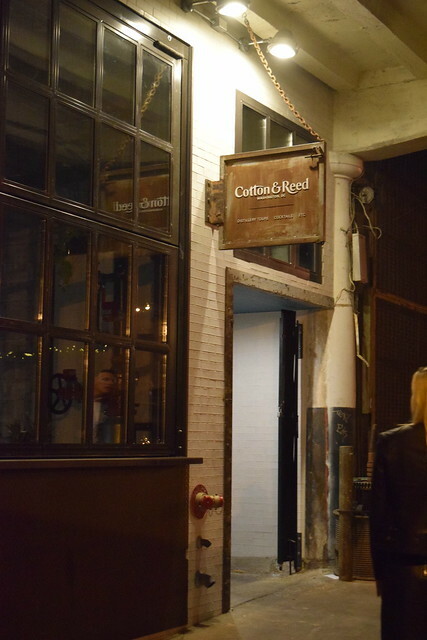 We loved the cocktails that went down easy, the industrial yet cozy vibe, and the fact that we can finally impress our out-of-town friends (looking at you, New Yorkers) with a trip to Cotton & Reed.